The conference will take place at the The Occidental Playa de Palma Hotel, Fa Joan Llabres, 16, 07600 Playa de Palma, Palma de Mallorca, Baleares, España. Majorca or Mallorca is the largest island in the Balearic Islands archipelago, which are part of Spain and located in the Mediterranean Sea. The capital of the island, Palma, is also the capital of the autonomous community of the Balearic Islands. 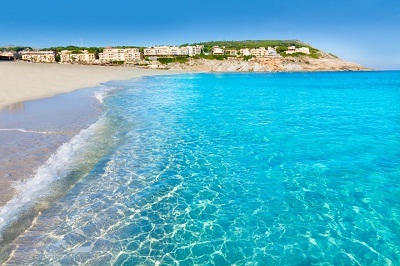 The Balearic Islands have been an autonomous region of Spain since 1983. The Cabrera Archipelago is administratively grouped with Majorca (in the municipality of Palma). The anthem of Majorca is La Balanguera. Like the other Balearic Islands of Minorca, Ibiza and Formentera, the island is an extremely popular holiday destination, particularly for tourists from Germany and the United Kingdom. The international airport, Palma de Mallorca Airport, is one of the busiest in Spain; it was used by 23.1 million passengers in 2014. The climate of Majorca is a Mediterranean climate, with mild and stormy winters and hot, bright, dry summers. There is markedly higher precipitation in the Serra de Tramuntana. Summers are hot in the plains and winters mild to cool, getting colder in the Tramuntana range, where brief episodes of snow during the winter are not unusual. In 2005, there were over 2,400 restaurants on the island of Majorca according to the Majorcan Tourist Board, ranging from small bars to full restaurants. Olives and almonds are typical of the Majorcan diet. Among the food items that are Majorcan are sobrassada, arròs brut (saffron rice cooked with chicken, pork and vegetables), and the sweet pastry ensaïmada. Herbs de Majorca is an herbal liqueur.